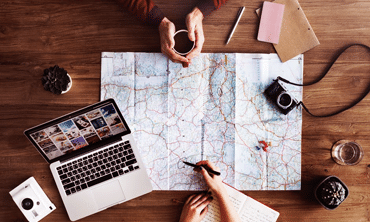 Traveling is one thing that company and business owners cannot avoid. 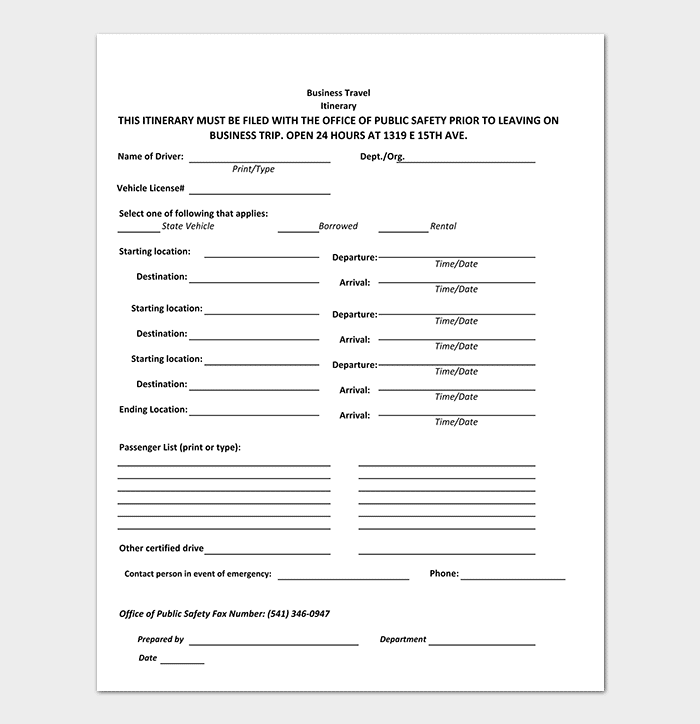 Company employees will have to travel every once in a while, in order to attend conferences, meet clients and even supervise a company’s worksite. Without proper planning, it can get confusing for these employees to understand their assignments and the timelines allotted to them. 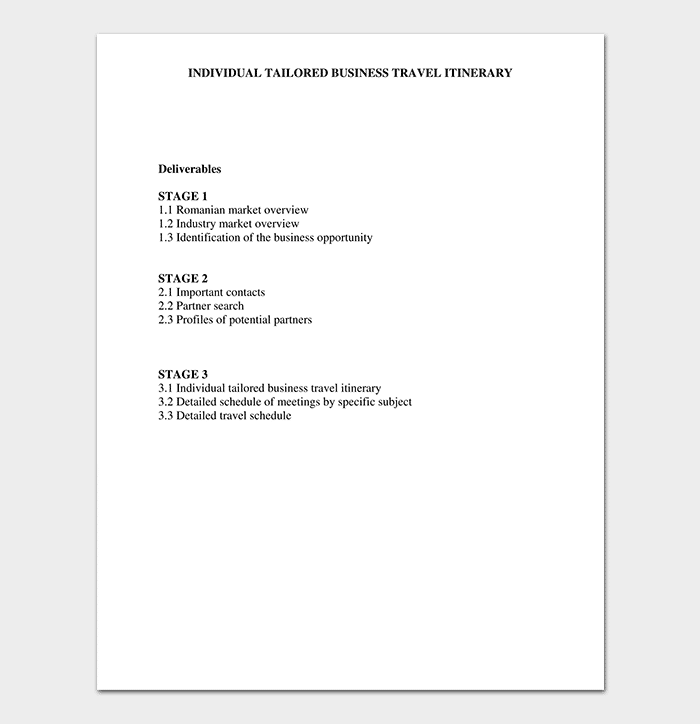 The best way to solve this is through the use of a business travel itinerary template. 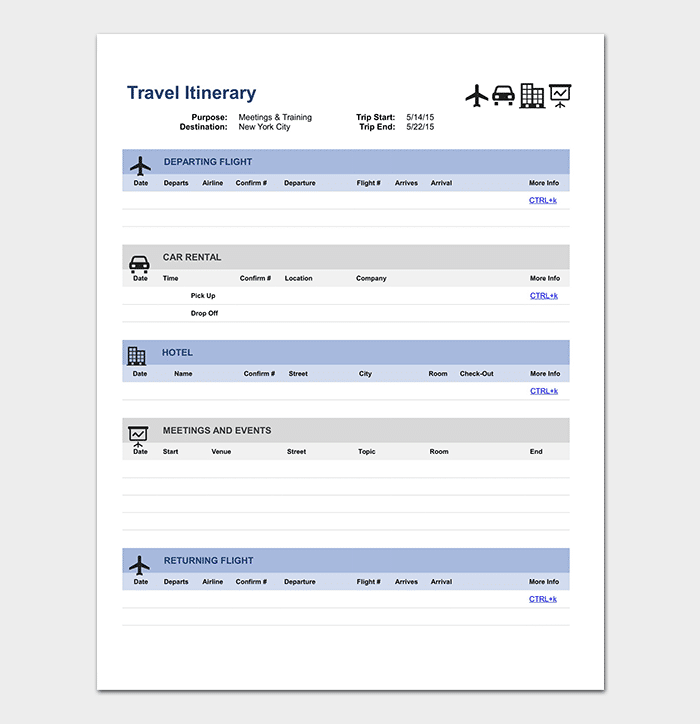 Using such a template will allow the organizing of travel plans into schedules that are precise and easy to understand. 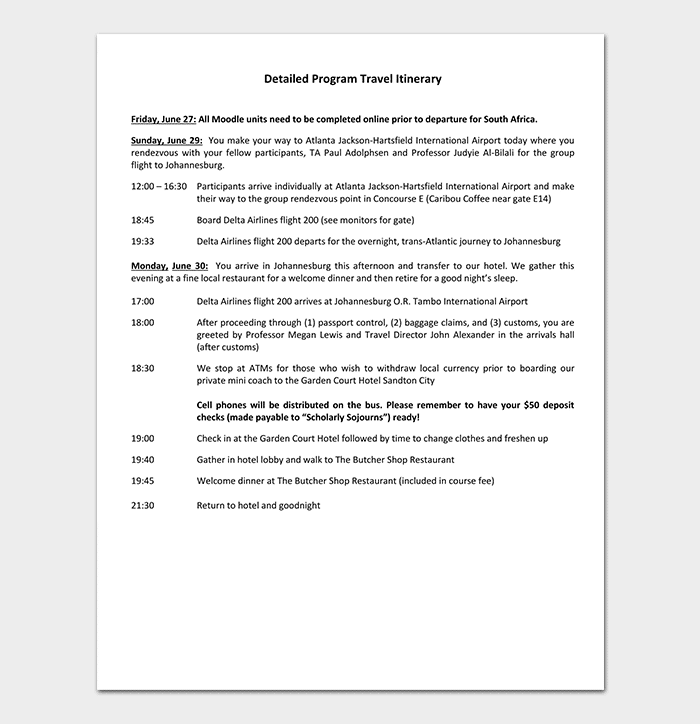 How do You Make a Travel Itinerary? 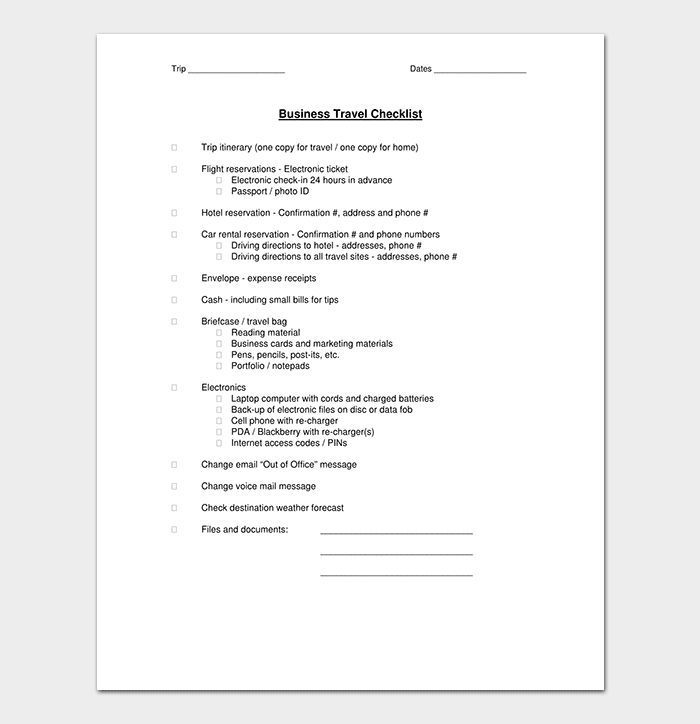 Business meeting itinerary template is used when you are planning on attending a meeting. 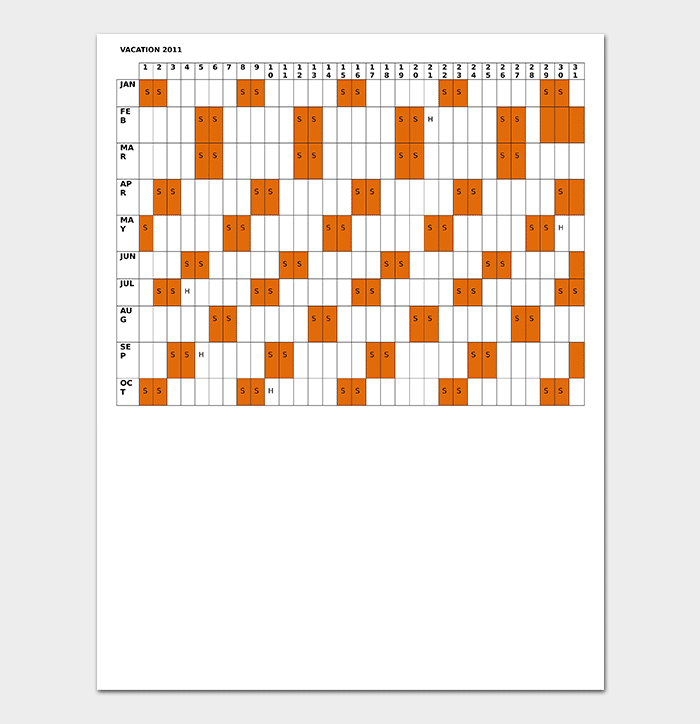 The template contains the reasons for attending that particular meeting, venue, the time and the date. It ensures that the attendee has all the information that he or she needs to know about the meeting. The information is organized in a precise manner and hence it makes it easier for the attendee to read and understand it easily. The template is based on Excel. 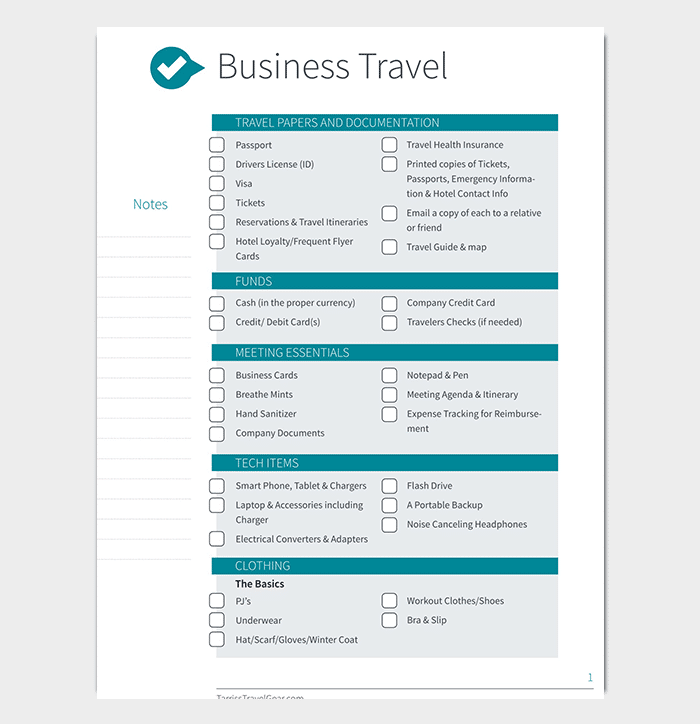 It allows you to record all the details about the business trip you are organizing. Recording these details will allow everyone who is being involved in the trip to understand what they should expect during the travel period. 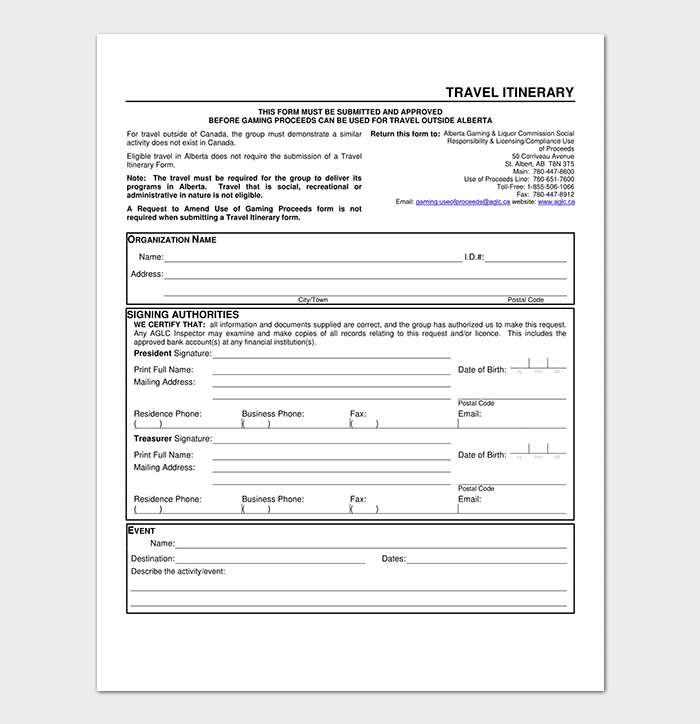 The template has an itinerary on its front page and more pages that contain meeting schedules and details for each day of your trip. 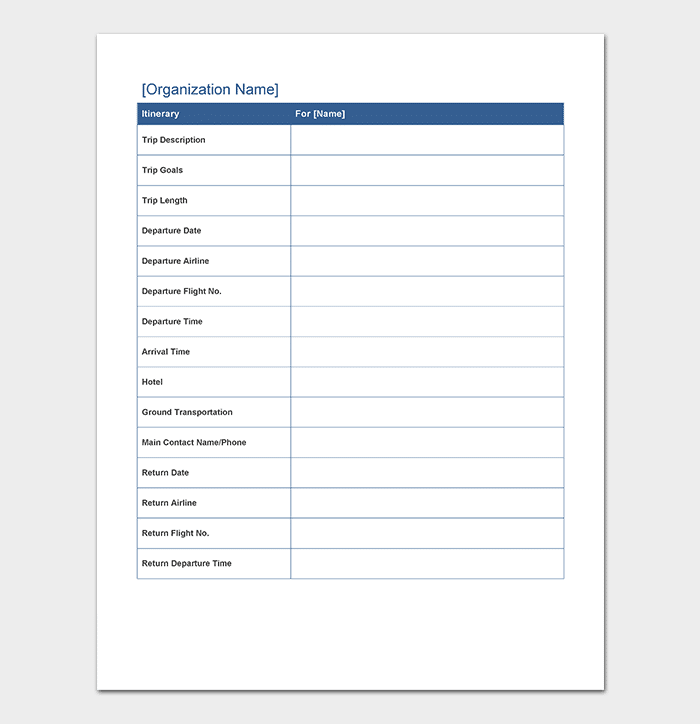 Since all details are available in a single document, it is easier for you to plan ahead of each meeting. When you are attending multiple meetings in different locations, it can become difficult to keep track of time and locations solely by memorizing them. 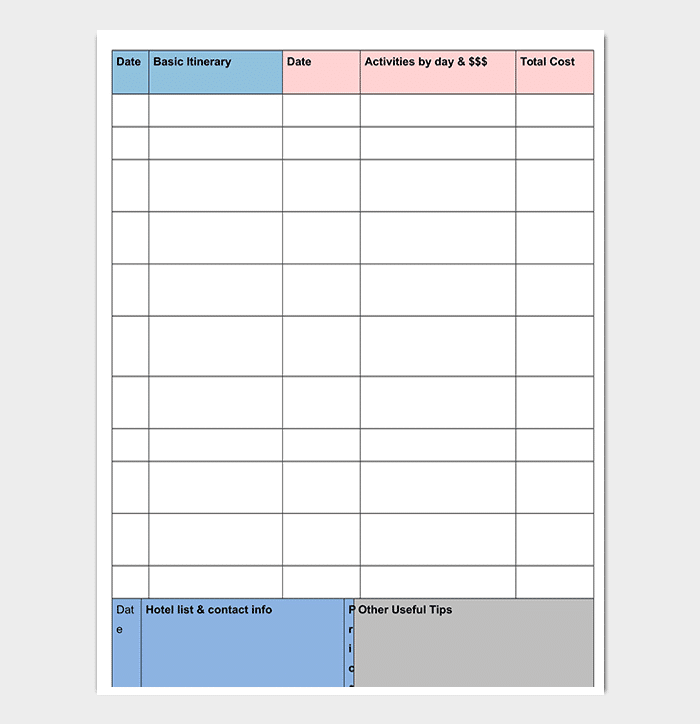 The meeting schedule included in the template can come in handy in solving this problem for you. 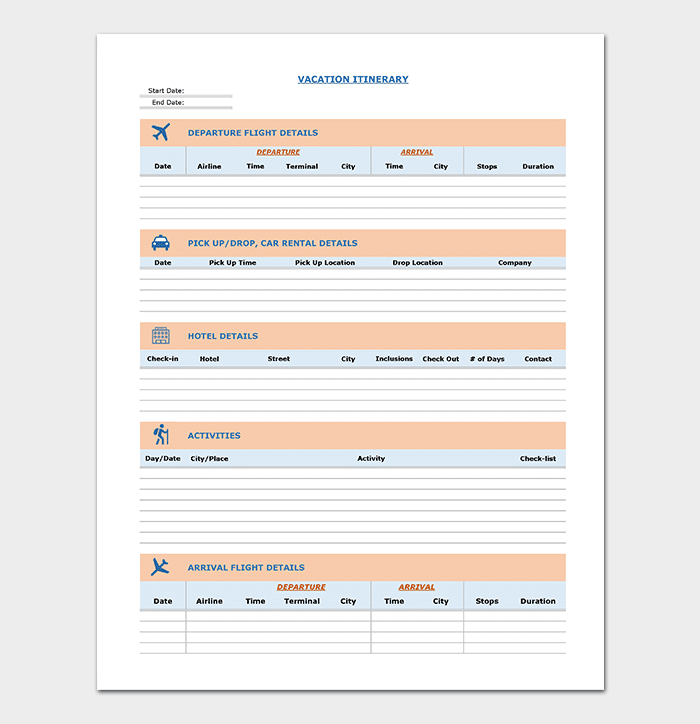 The template is designed in such a way that it includes all the basic details that a traveling executive needs. 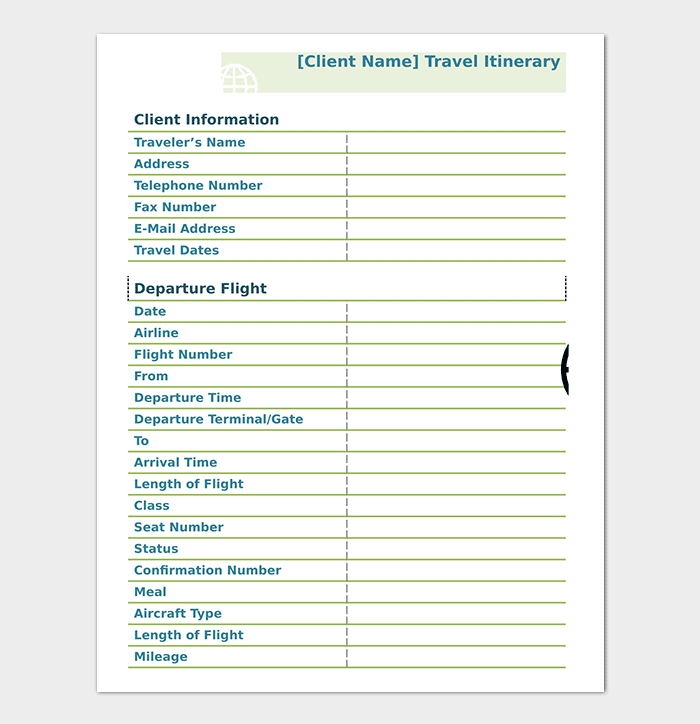 When an executive is traveling, there some details that he or she needs to know during the travel period. 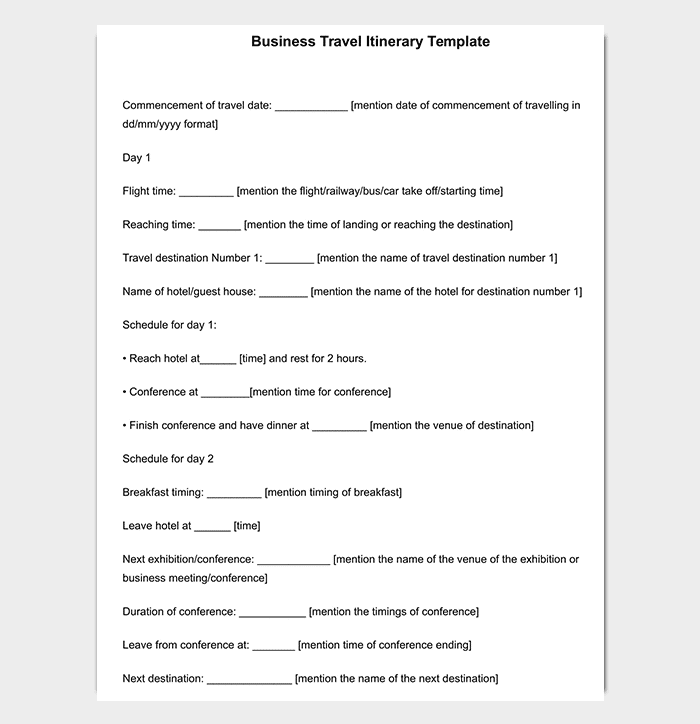 To ensure that this happens, executive travel itinerary template allows for easy organization and presentation of these details. 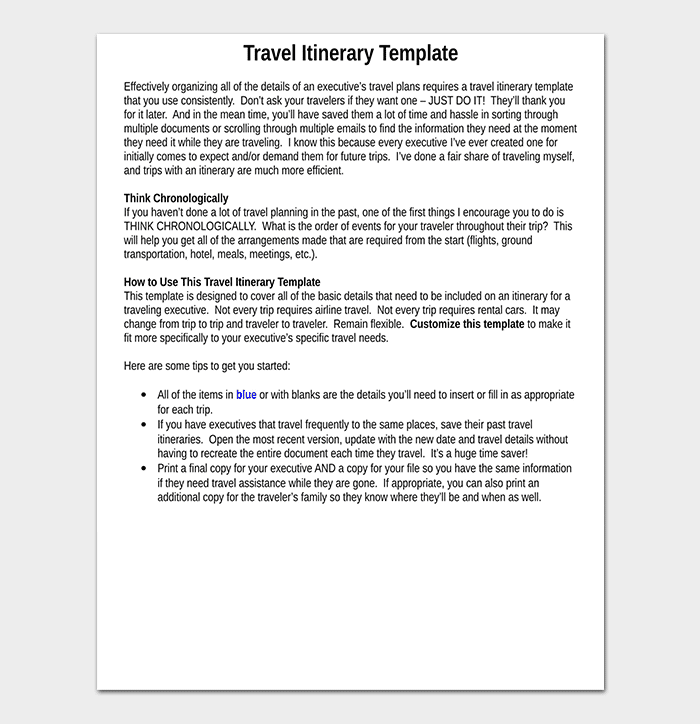 Creating a travel template is not as hard as many people usually think. This guide will help you go through this process easily. 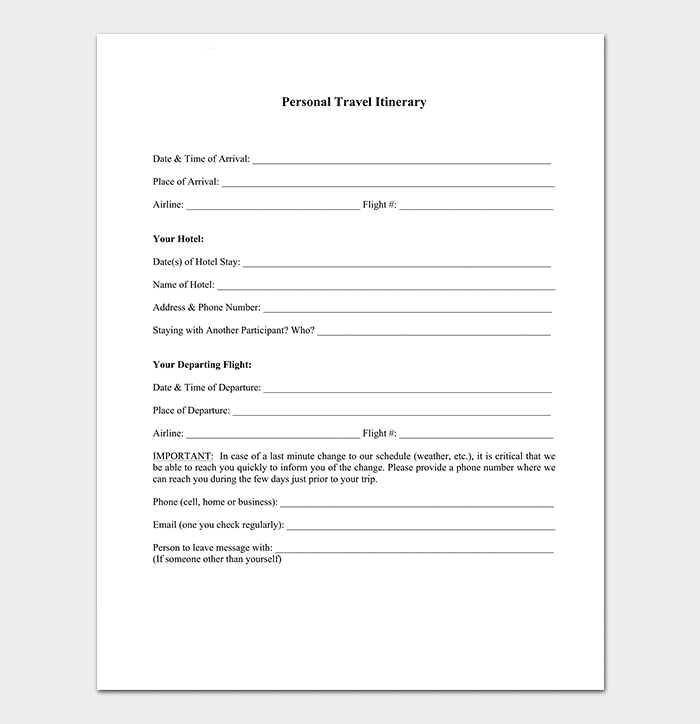 Follow the steps outlined here and you should have your travel/vacation itinerary with you within a short period of time. 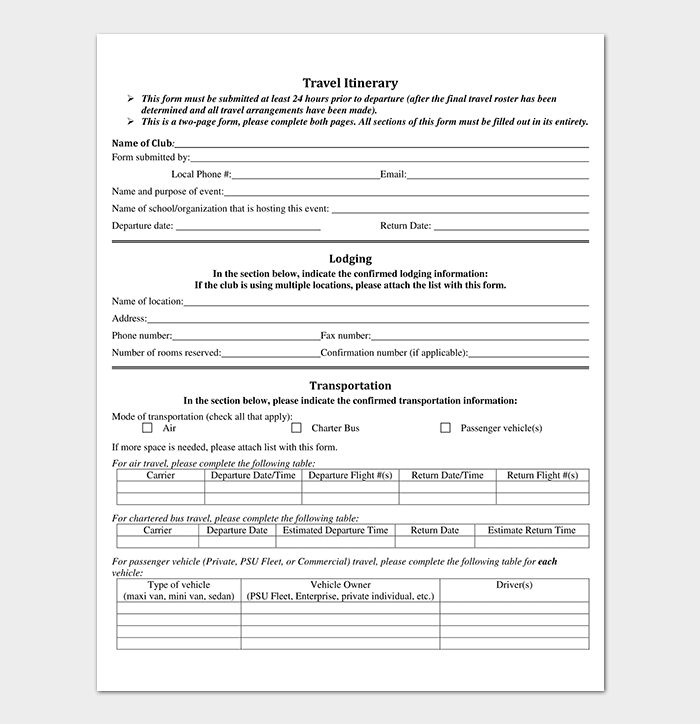 The information to collect may include flight numbers and hotels in which you can reside in during your travel period. Also, include the approximate fees that you expect to pay so that you can be able to plan your budget for the trip. 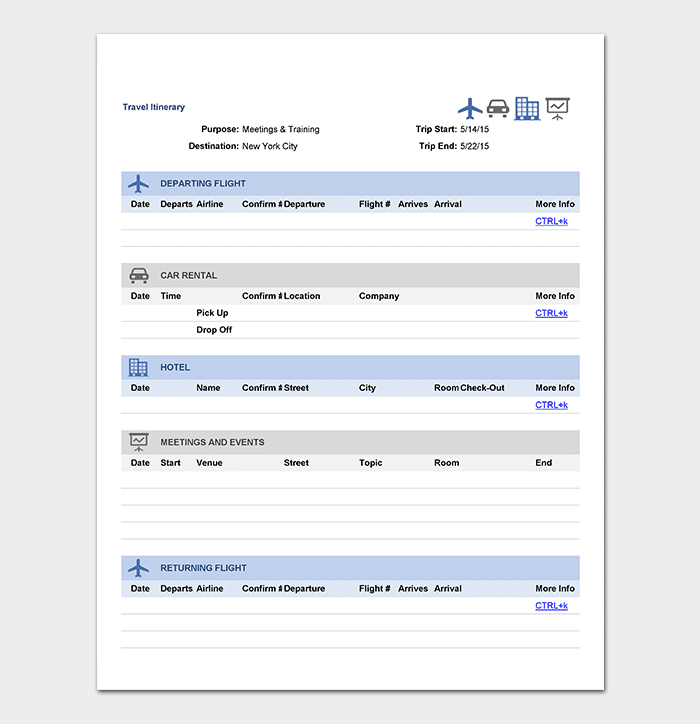 After you have collected all the information you need, the second step involves organizing that information on your itinerary. 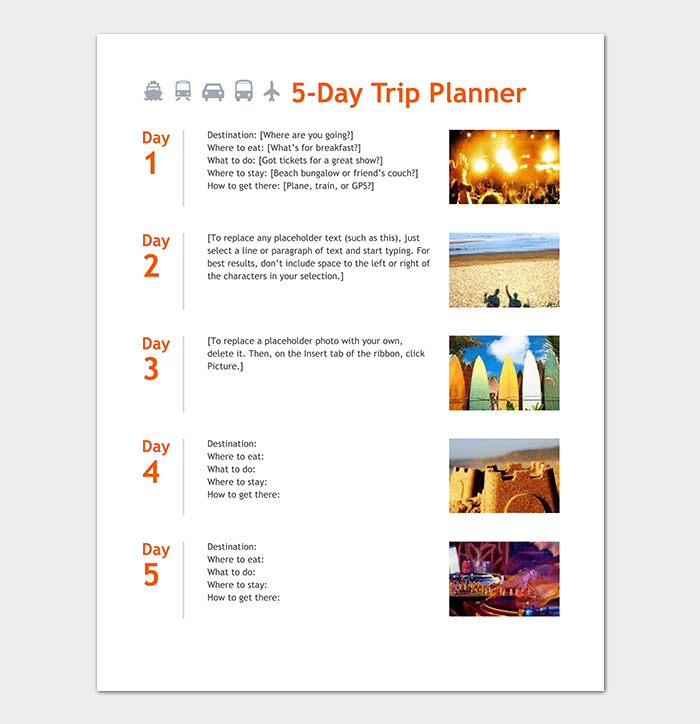 This is important because it will help you to keep your itinerary simple, clear, and concise. This step involves determining the locations which you would like to visit during your trip. You should organize these stops in such a way that it saves you time while you are commuting to these locations. Locations that are adjacent to each other should be placed together on your Itinerary. After you have determined the locations you will have to visit, you need to include the activities that you will be doing at each location. This will help you to have a clear goal for stopping in each location and hence minimizing time wastage. 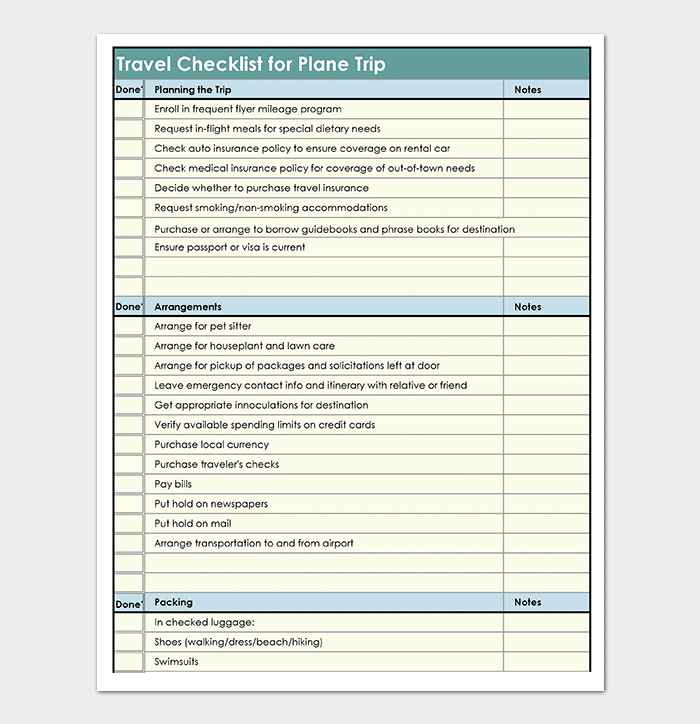 A budget should help you in determining the amount of money that you need during your trip. This can prevent you from overusing your money by keeping your spending at the bare minimum. Allow room for exploration. This will make your trip more rewarding. 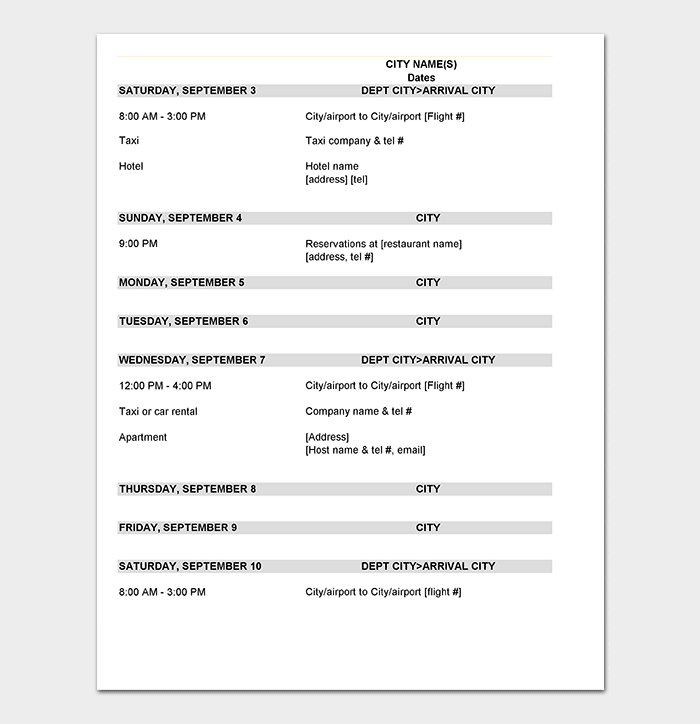 Also, you should always remember that your travel itinerary is supposed to act only as a guide to keep you on track. Hence, allowing you some time to do other things which are not on the itinerary is not bad at all. 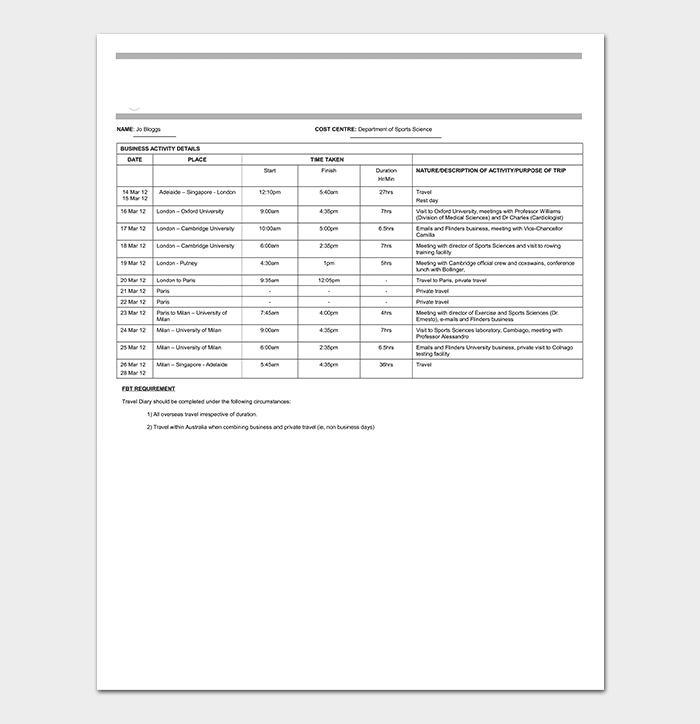 A travel itinerary template is a very important document. It will allow you to save your time, money and also avoid any confusion during your travel period. 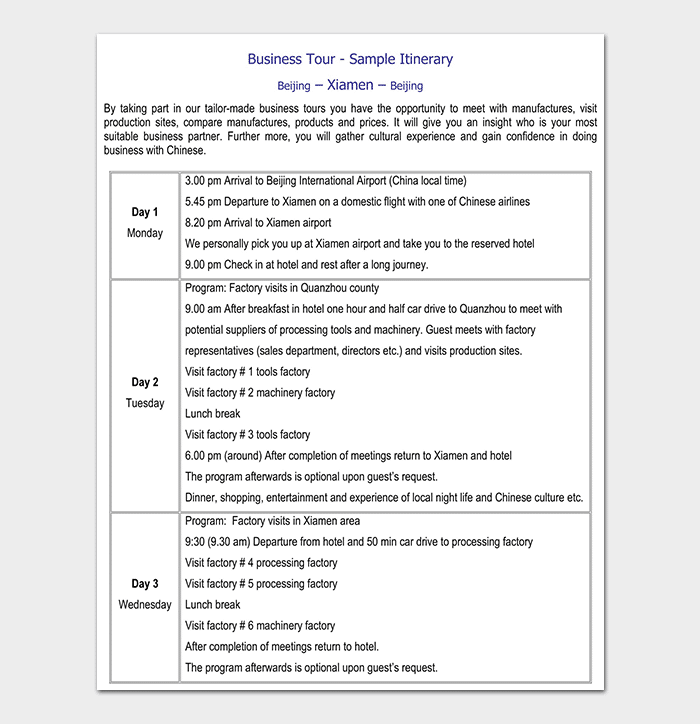 Creating a travel itinerary doesn’t have to be hard too. Following the steps, we have outlined in this article will make the process easier for you. 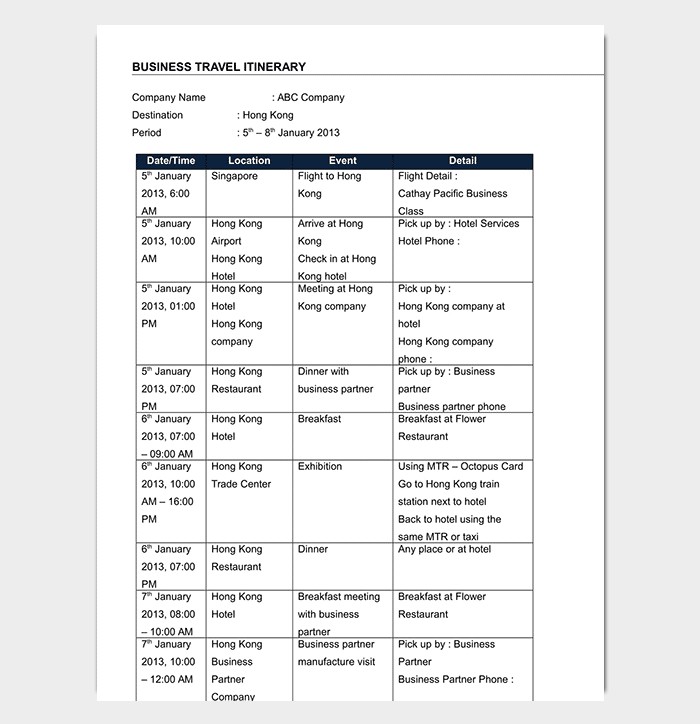 On your next business trip try using a travel itinerary to make your travel experience better.